Escaping the competition of the mid '60's beat scene, The Red Squares moved to Denmark to make their mark. The group was kinda square for the most part (as the utterly awful cover of the Four Seasons "Sherry", the a-side of this single, shows). Something different was in the water when it came time to cut this track, and the band was almost on the level of the mighty Who/Small Faces/ Creation triumvirate with this side full of mod beat wonderment. 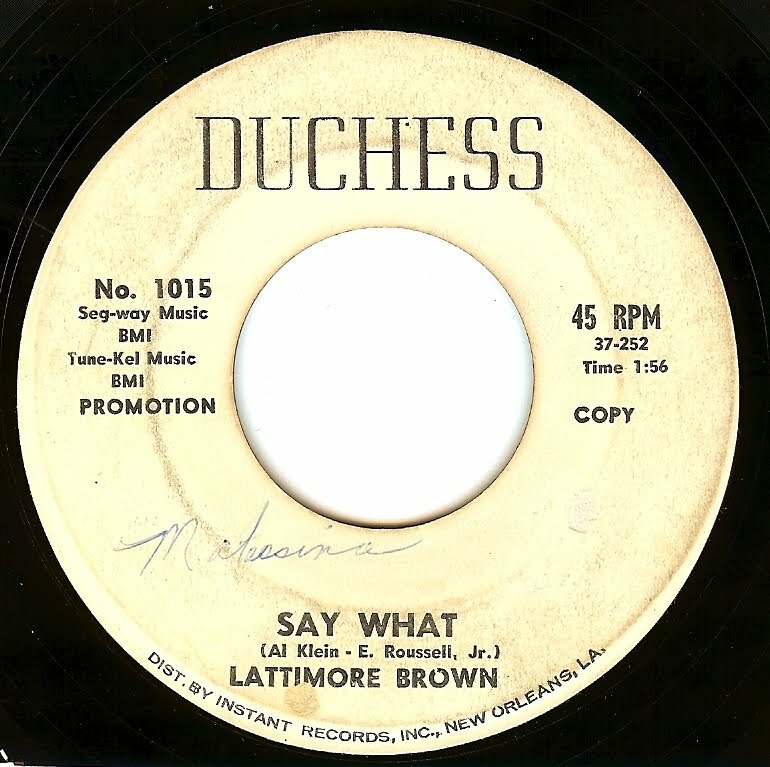 I heard the sad news yesterday that Lattimore Brown has died. The man, who was believed to have died in the 80's, survived not only a violent attack and robbery in recent years, but also the horrors of Hurricane Katrina taking away his home and wife in Biloxi, MS.
Lattimore was not only a veteran of the chitlin' circuit, but also both the Korean and Vietnam wars. 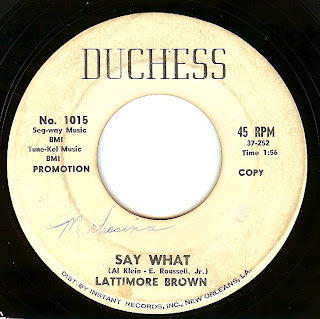 Amazingly, Lattimore was discovered alive a few years back thanks to a hospital nurse who googled a patient's name and came across my friend Jason Stones "Stepfather Of Soul' blog and emailed him, asking about Lattimore Brown who turned out to be alive! Fortunately, thanks to the efforts of another blogger "The Soul Detective" Red Kelly, Lattimore was able to tell his life story, perform on stage and record a few more sides. I love the out and out party vibe of this record; a perfect way to celebrate the life of this musician who had been EVERYWHERE. Known mostly for their ballad style, this L.A based vocal quartet (2 female, 2 male) cut a real GROOVER with this track. If you're not hooked by the fantastic spoken intro, I'm afraid that you may have wandered to the wrong website by mistake. The group had a relatively short run ('66-'69), and I believe this to be their final single. Sublime stuff! Jackie Shane was a real trailblazer; cross dressing and openly gay, Shane was a huge draw on the Toronto club scene in the early '60's. While I wasn't there I can't say for sure, but seemingly any time an audience is exposed to a different lifestyle, it probably opened their eyes and minds a bit. 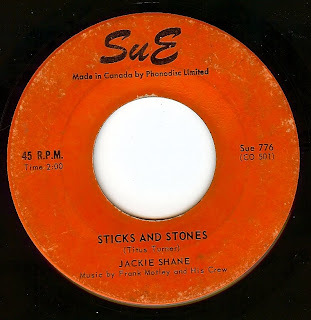 BIG respect to Jackie Shane for going "out" at a time when it was far more dangerous to do so. This fantastic double sider shows Jackie's deeply emotive and powerful voice taking on both an excellent uptempo rocker ("Sticks & Stones") as well as the downright hypnotic "Any Other Way"; just listen to how Jackie's voice "pops" the microphone throughout almost the entire song and a downright mind blowing performance. Jackie was ling thought to be dead, but after a documentary aired on the CBC he was found to be alive! Read more about Jackie here! 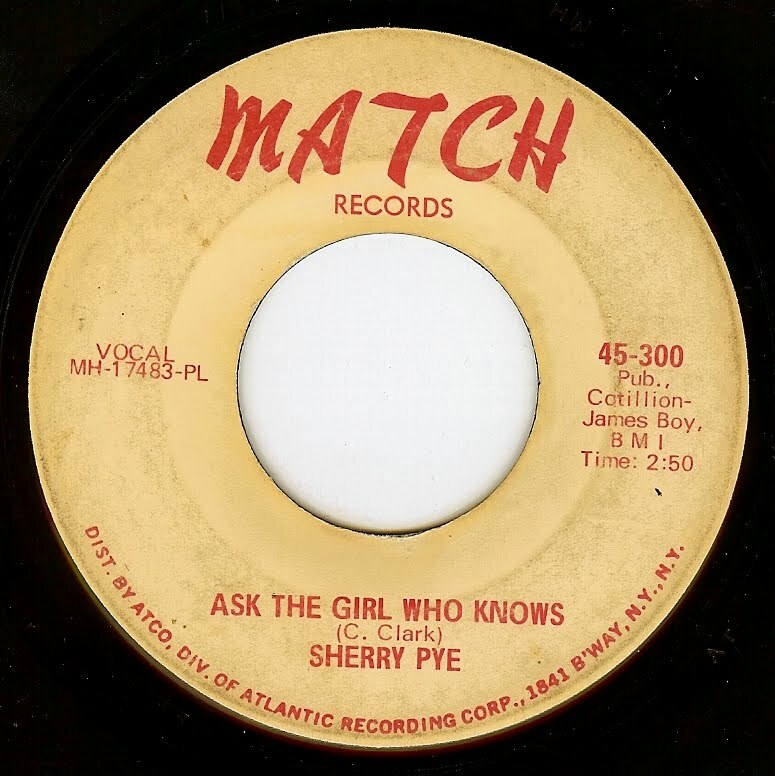 For some odd reason, Claudine Clark (of "Party Lights" fame) was re-named Sherry Pye for this release. I have no idea why, but perhaps it had something to do with contractual obligations? Whatever the reason, this is a beautiful deep soul track that shows off her Georgia roots so well. Just as it was with yesterday's post, a lineup of names like these on a record label all but ensures a fantastic record. Something about the songwriting of (Chi-Lite) Eugene Record just stops time for me; whatever is on my mind disappears, all other distractions are irrelevant and his songs just pull me into happy land. 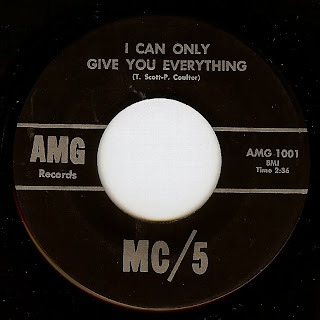 This beauty was co-written by Carl Davis, who was involved in a staggering number of timeless records as a writer, arranger, producer or A&R man. 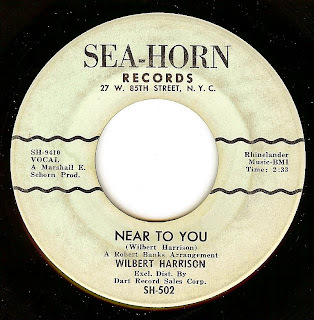 Arranger and baritone sax man Willie Henderson leads the amazing Brunswick records house band here, both in arrangement and production and this late 60's/ early 70s Chicago sound is one that is very near and dear to my heart. This group boasted one of the world's finest rhythm sections, with bassist Bernard Reed and drummer Quinton Joseph doing things that just bring me to my knees in respect. 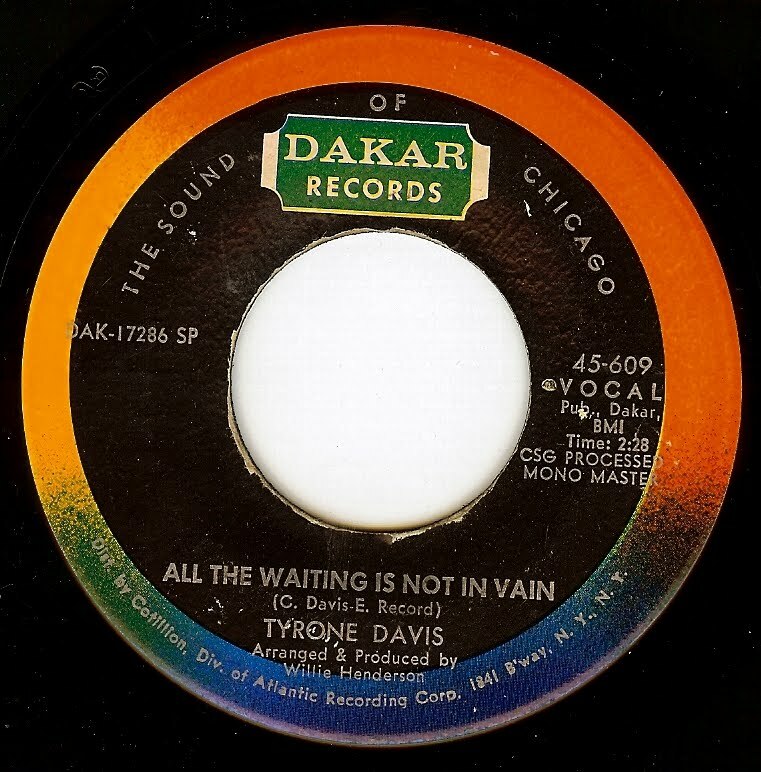 Then there's this fellow named Tyrone Davis at the microphone; this man (discovered by Harold Burrage) simply had a way with a song that was such a unique stamp; he practically BECAME the song for his performance. Yes, I love this record very, very, very much. 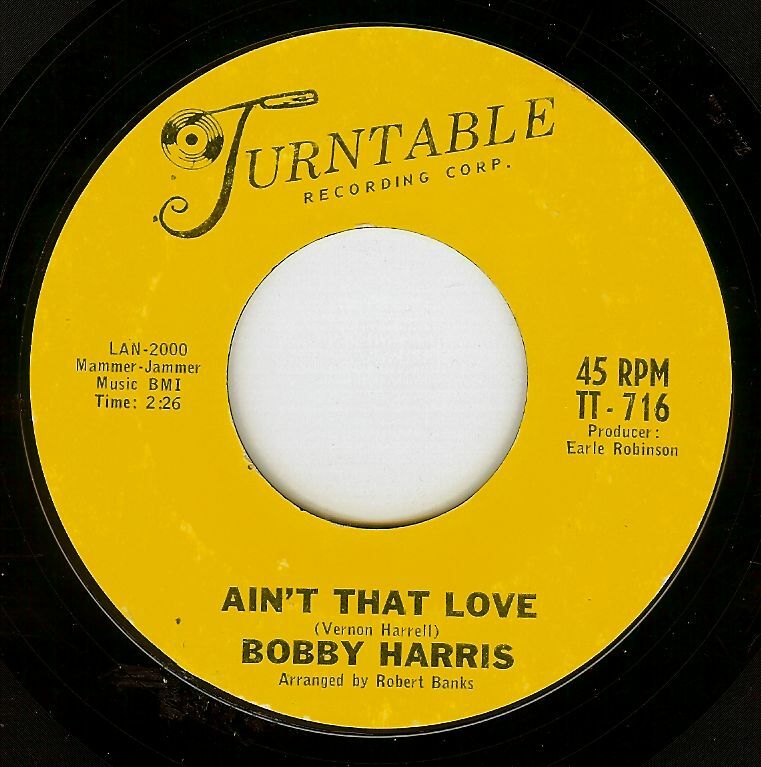 When one sees the names "Betty Everett", "Johnny Pate", and "Mary Wells' on a label, it is virtually guaranteed to be fantastic, and this record testifies to that case. 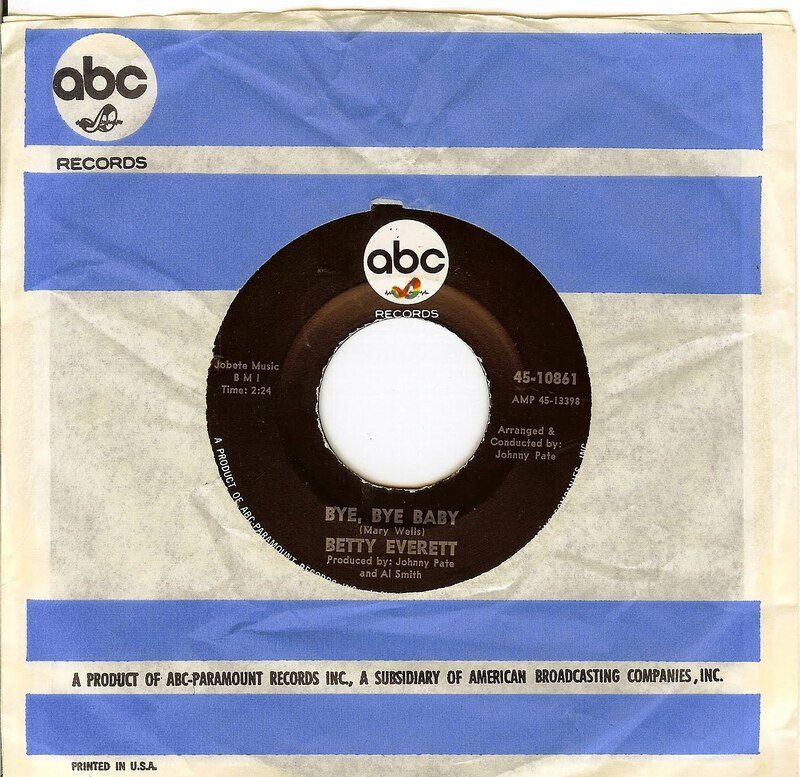 While Betty Everett's run of hits almost ended completely with the collapse of the Vee-Jay records empire in 1965, she continued to release some great records (including some fantastic funky sides), and this, a cover of Mary Wells first release (from 1960) is my personal favorite. Johnny Pate is the brilliant, Chicago based arranger/ producer/ musician whose magic touch graced so many exciting records during this period; Johnny definitely knew how to propel an arrangement into the stratosphere. Check out the rolling drums, tasteful horns and backing vocals, bubbling bass and of course Betty's soaring vocals. Here's a downright FREAKY record from Vancouver, Canada's THE COLLECTORS. As this was produced by David Hassinger (known for his work with the Electric Prunes), I'm assuming the group travelled to LA to cut this record. 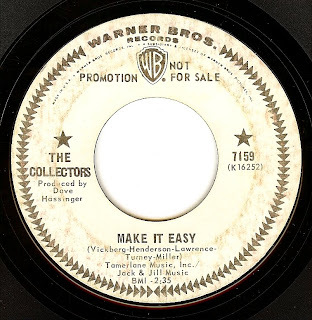 Top side "Make It Easy" is a fantastic, punky, garage mover that would have fit in well on either of the the first two Love LP's (making it a bit anachronistic in 1968 but I'm sure glad they were able to unleash it). The other side, "Fat Bird" (which the radio station that took delivery of my personal copy marked as being the plug side) is like a freaky concoction of the Velvet Underground, old timey barn dance music and west coast psychedelia. 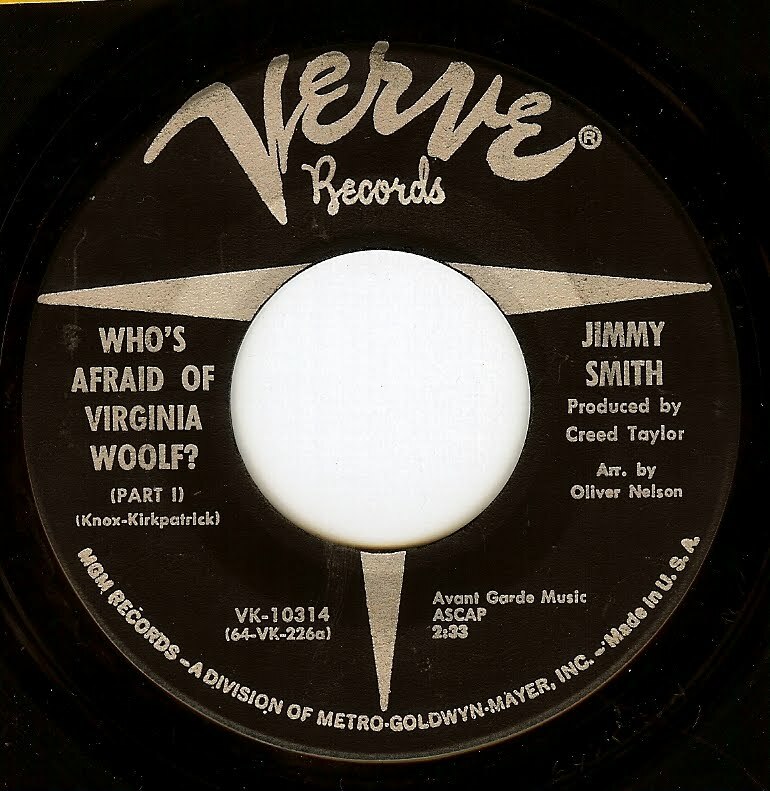 JIMMY SMITH - WHO'S AFRAID OF VIRGINIA WOOLF? 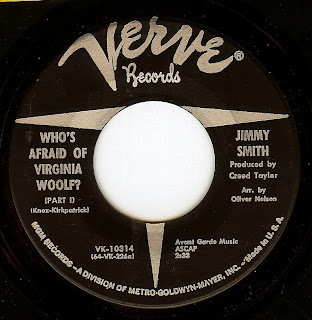 While Jimmy Smith's ultra-swinging tune was not included in either the film or the stage production of "...Virginia Woolf", it seemed a fitting tribute to post this fantastic track in tribute to the late, great Liz (as well as the late, great Jimmy Smith- King Of The Jazz Organ). 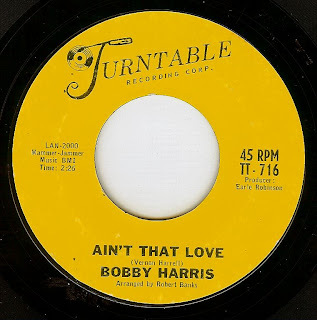 An ultra cool, mood setting intro sets the stage for an incredible performance from New York City singer Bobby Harris.All I can say is how much this track downright SWINGS. Extra credit goes to whoever the genius drummer is on this cut. Known mostly for his big hits ("Kansas City", 1959 & "Let's Work Together", 1969), Wilbert Harrison waxed this incredible side during a period that may have been hitless but certainly was not fruitless. This incredible song and performance should have been a massive hit. It's one of those songs that's gonna move people as long as humans have ears and hearts. 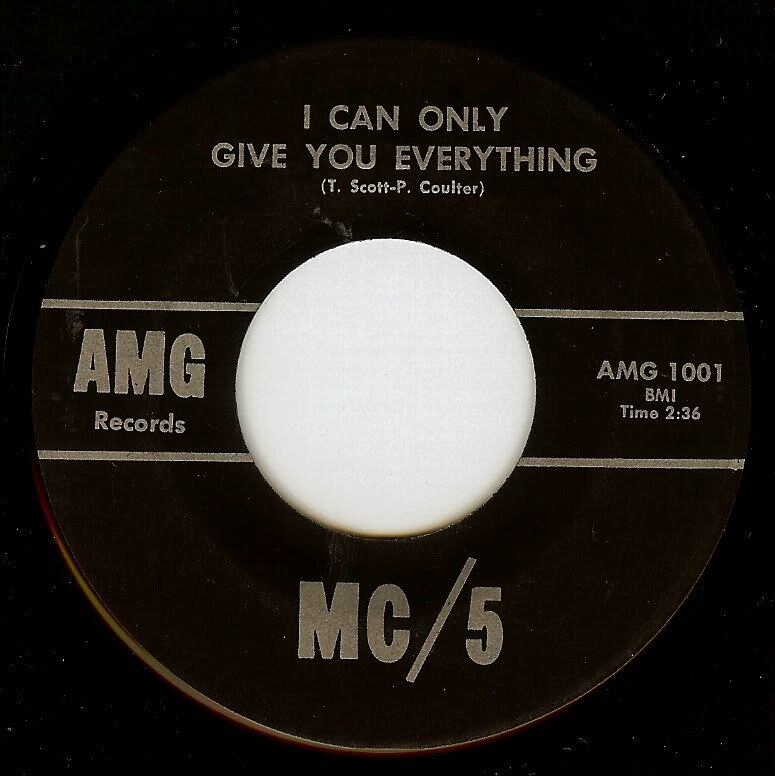 Korean war and doo wop veteran Vernon Garrett made some wonderful records with his wife Jewel until her sad death from cancer, which was not too long after this wonderful record was recorded. Vernon and Jewel, both amazing singers, show a very lovely chemistry together on this fantastic, soulful track. First recorded in the fifties by Detroit doo-woppers the Raves (of which Derek Martin was a member), this version was recorded ten years after it was written by the great Otis Blackwell, once again by Martin but this time as a solo artist. Perhaps the song was on his mind as one he could wax the definitive version of (which he did); this is the type of record that should make you stop in your tracks and wither let your jaw hang in awe or simply start shakin' it. Like so many others, I first heard this as covered by the Who, in their maximum r&b era, and was also mentioned during one of John Lennon's guest DJ sets where he spun his favorite 45's (a highly inspirational set for this writer that put me on the hunt for r&b for life). Those fellas had great taste, and The Who cut a blazing version as well; however, nothing comes close to the delicious call and response female vocals gettin' it on with Martin's spirited lead, matched with a band that swings so hard it HURTS. Co-written by Celtic music legend Phil Coulter, what better song is there to celebrate St Patrick's Day? The most famous version of this song was cut by Them (and it's a glorious version indeed) which was the basis for the debut release from Detroit powerhouse the MC5, released on a small Detroit label before the band was picked up by Elektra. The 'Five show that right out of the gate they were SERIOUS and ready to blow the roof off of any venue, and blow the woofers in your home stereo speakers. While this was Donny Hathaway's first release as a credited artist, he was no neophyte. After leaving Howard University (where he was studying music) in 1967, Hathaway went to Chicago where he began working as an arranger, songwriter and session musician. 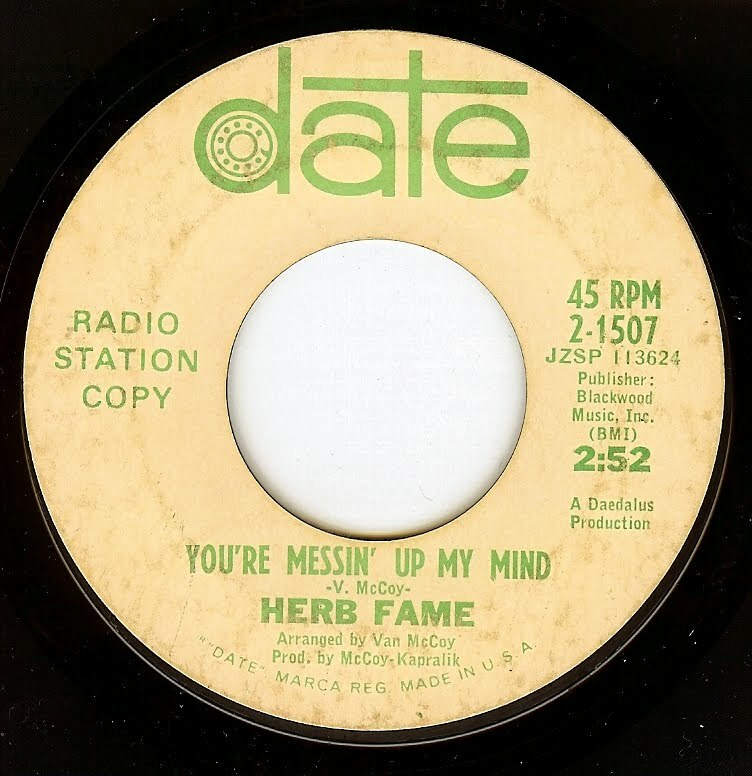 Hathaway and Curtis Mayfield became tight, so it should be no surprise that his debut single was cut as a duet with Mayfield protege June Conquest. And what a glorious debut it was; tragically, Hathaway was dead at his own hand a short decade later after releasing some stunningly beautiful music. And for that, I thank YOU, Donny. While they eventually became synonymous with the Philly soul sound in the '70's, The O'Jays began their career in 1960 in Canton, OH (a small town near Akron) and this is their glorious debut as the O'Jays (they had two prios releases as the Mascots). While this song shows a strong Drifters/ Ben E King influence (that "Stand By Me"/ popcorn kinda groove) to my ears it also sound s a few years ahead of its time with its gritty textures and incredible vocals. 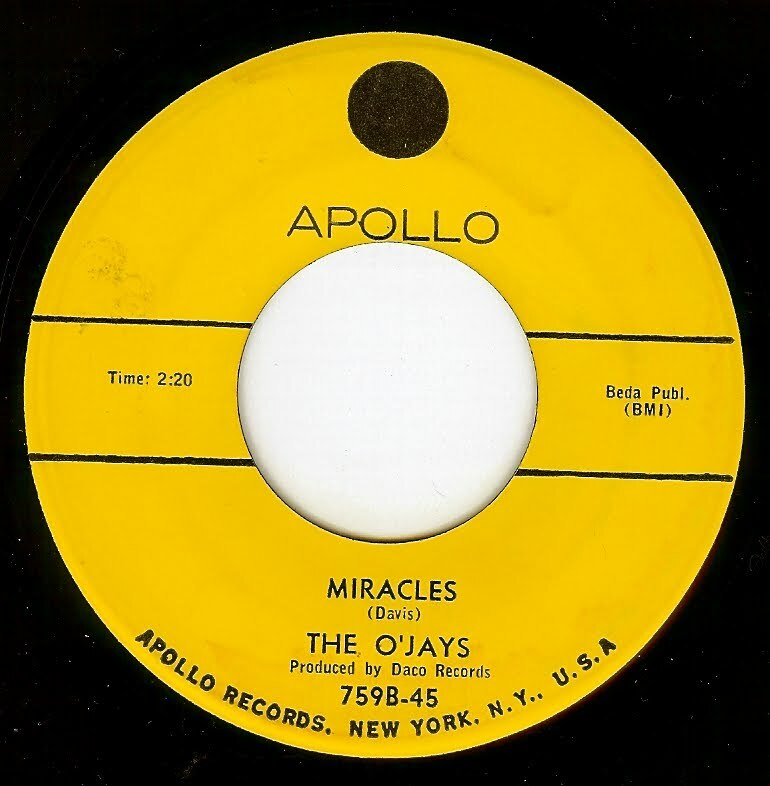 A very impressive debut for a staggering career that continues to this day; all hail the O'Jays!!!!! Oh how I love the raw, New York City sound of this amazing record. The rhythm of the city is captured, and hearing it alone makes me feel as though I'm walking at the corner of Broome and Broadway West and about to buy a falafel! 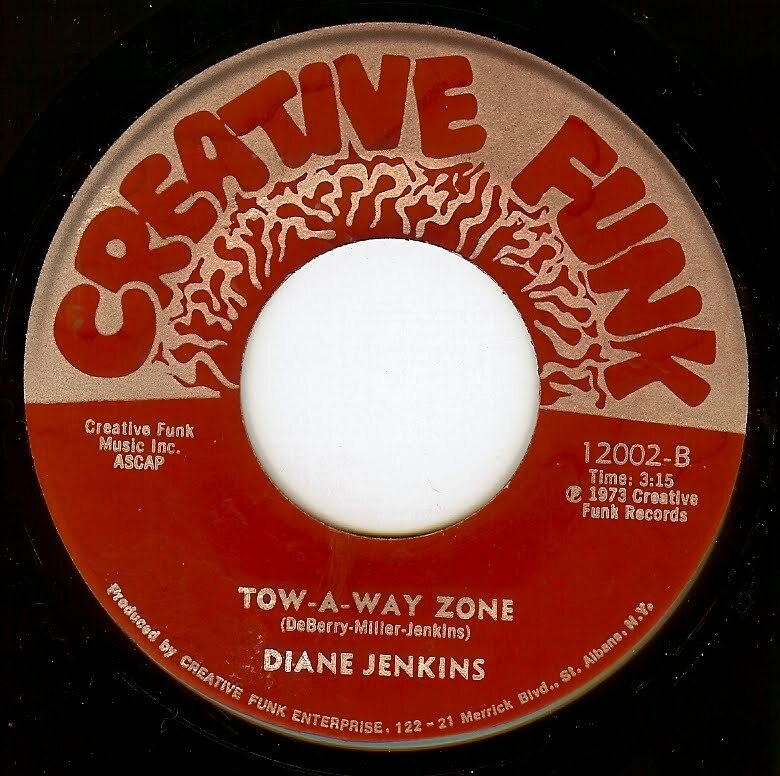 Diane Jenkins, allegedly 6 feet tall, shows off a very powerful voice on this oddly catchy song that manages to have one foot in the classic soul sound but also seemingly was a leap into the future and has a bit of a proto-hip hop feel as well in the vocal delivery. Diane Jenkins was also the lead singer of the band Creative Funk which gave name to the record label that the group founded to release their own records. First off, I would like to say how my heart is with the good people of Japan and their families around the world. This is my tribute and a tiny little way of sending some good vibes. 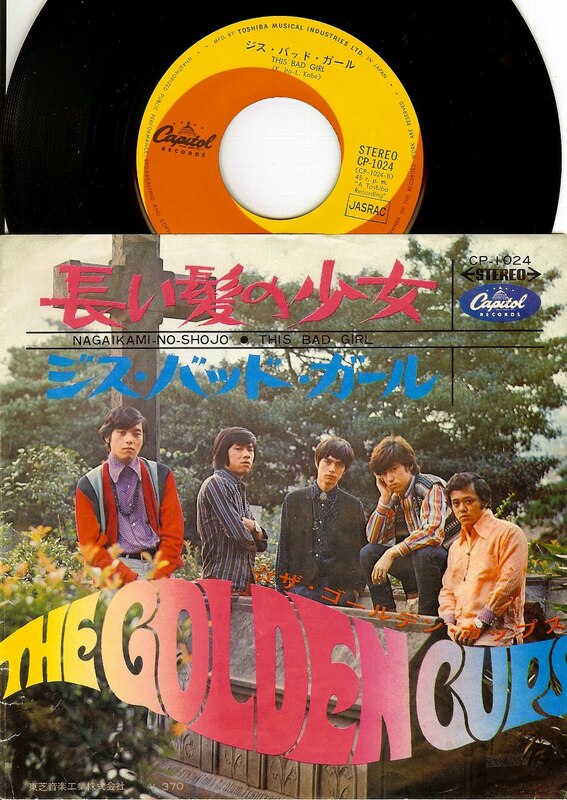 The Golden Cups were purveyors of some of the finest and wildest garage rock during the so-called "group sound" movement in mid 60s Japan. Guitarist Eddie Ban brought a fuzzbox back from the US and he uses it to great effect here. Influence from the Yardbirds is especially felt on this cut, with the wild, driving rave-up style bass and drums. 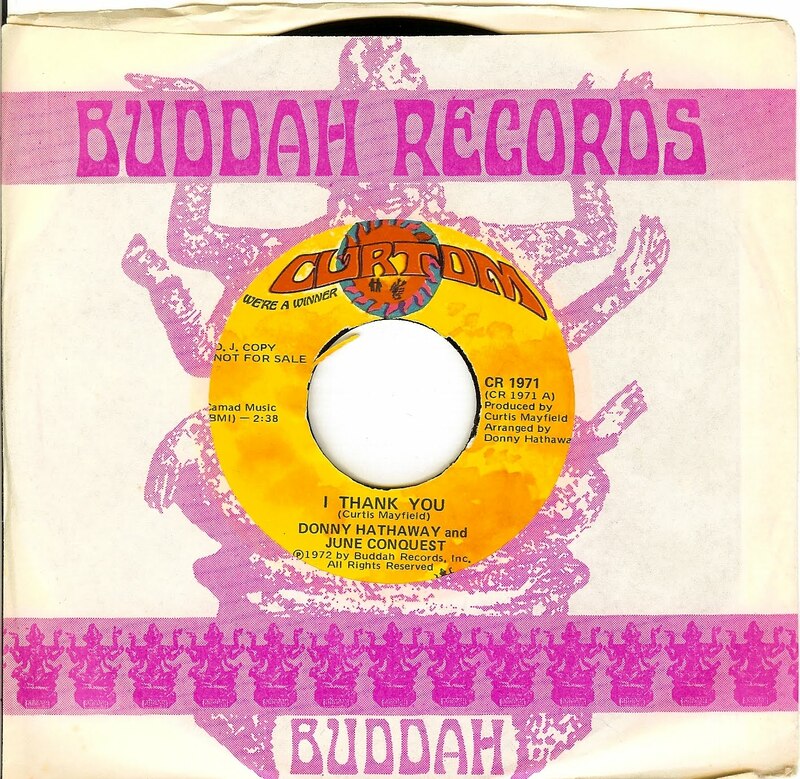 As the launching pad for future soul/ funk star Little Beaver, this Miami group laid down some seriously funky soul on this side, which was picked up by a tiny indie for national distribution on the legendary Phil-LA Of Soul records. This is the type of record that I like to say as little as possible and just let the grooves do the talking. AMAZING stuff indeed. Great record stores: Australia & New Zealand! When the opportunity arose to work in six cities in New Zealand/ Australia, not only was I delighted to visit a land I had always wished to see, but also to hit some of the countries record stores. 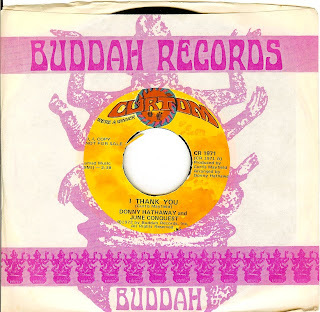 OZ & NZ had a very fertile beat music scene in the sixties, and while a small handful of releases made their way onto US and UK release, there is a depth of records that were only released in the homeland and are of solid quality. The possibilities of finding these records was very exciting, to say the least! Our first stop was Auckland, NZ- a delightful city with a relaxed charm. Luckily, right around the corner from our hotel was a store called REAL GROOVY, and the name certainly conveys how great this store is. At first I was a bit dismayed that the racks of 45's were all $12 each (translates to around $8US); no bargains to be found. There were maybe a few thousand 45's in the racks and I began digging; saw some great NZ labels on common releases that if they were half the price I would have snagged but passed on. Luckily, a few rows in and the homegrown treasures started appearing, as well as an original UK edition of Ben E. King's "Cry No More" (practically worth what I paid for the dozen or so 45's I bought alone!). 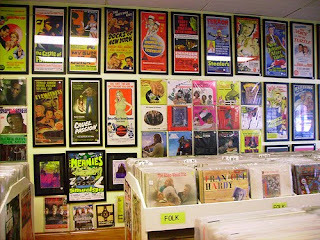 Their LP selection was also staggering, and I picked up a very nice original NZ copy of the first Kinks LP. Not cheap but HIGH QUALITY. Next up was the Gold Coast, but this resort-like region had no record stores within walking distance that I could find. Off to Sydney; our tour book was written that listed points of interest in each city, including record stores. Lucky for me, as it saved a bit of time not searching local directories and the web. Unfortunately, the two stores I visited in the city itself were either not what I was after, or in the case of Mojo Records, run by someone who was so incredibly rude I decided not to buy what I had selected. Their loss! Normally, I never slag a store but in this day and age of record store success slipping, it is necessary for a record store to step it up to survive. In all my travels, this was the first store whose snobbery turned me away and the main reason why I write about stores around the world is to send business their way. Luckily, the next day I took the train to the Erskineville district and found two great stores; first off was the small but friendly and well stocked Egg Records. Not a whole lot in the way of 45's, but lots of great LP's and a very friendly environment. GREAT store! 10 minutes on foot from Egg will take you to REVOLVE Records; a FANTASTIC store jam packed with records, vintage clothing/ ephemera and a very friendly vibe. World class, indeed! The super friendly chap behind the counter even called the store owner to try to help me get a copy of my highly desired "Come On" by the Atlantics. Just missed one by four weeks, arghhhh! From here, Melbourne was next. Ahhh, Melbourne- amazing city and I have to say I would rate it in the "top ten" of record buying cities (Paris, London, Chicago, New York, Stockholm, San Francisco, Brussels, Boston, Los Angeles and Melbourne). There is a plethora of record stores, and during the four days I was there I hit as many as I could but didn't hit all of them (had to do some other things in this incredible city other than dig records, right?). Closest to my hotel was my first stop, the legendary Missing Link Records. AMAZING, indie rock based store but without attitude. Daniel (who is also in the band The UV Race) showed me some new arrivals (VERY good stuff) and also told me about my next stop, Off The Hip Records which is literally hidden in a basement on a small alleyway. YES; this is my kinda place! Mick, the owner is a great chap who is very enthusiastic about music, and what I gathered is that he is a pillar in the local music scene. It's no surprise that the music scene is fertile in Melbourne with solid dudes like this behind the scenes! Found some FANTASTIC OZ beat singles, and he was kind enough to let me listen to anything I wanted. My next hits were just outside the city, and I found one great place that wasn't on my list by accident! I missed a tram stop and ended up outside of the area I mapped out; as I was figuring out where I was, I walked past a store called Dixsons Recycled. Popped in, and was surprised at how by the store is, as the facade makes it seem much smaller. Racks and racks of vinyl, both LP's and singles. Found a nice handful of singles and one LP; GREAT prices, too! The next stop was a great place called "The Last Record Store, run by the very friendly Alex. Lucky for me, he was just pricing up some 45's and he let me pick through them. GREAT Aussie beat and two amazingly cool Hendrix EP's with picture covers. Made me a very nice deal, as well. Highly recommended. Unfortunately, I did not get to visit the legendary "Vicious Sloth"; I couldn't figure out the logistics with public transportation. Next up was Adelaide; a seemingly sleepy city that isn't visited by many tourists (as my American accent was a source of amusement to many locals). I would have initially thought that there was no chance of finding a good record store in this city but thankfully our tour book listed one that was rated as a hidden gem favorite...Porthole Records. What an incredible shop! Unfortunately, I only had about an hour to dig and I was able to go through all of their singles. This was the only place in OZ with 50c bargains, and I found some great stuff. Porthole also had a wall of picture sleeve EP's that I decimated. The prices were better than anywhere else I had seen so I grabbed a stack and figured why not. I don't regret it! This song is a r&b standard, and there's many great versions (it's one of those songs that's so immediate, so direct that it would take some truly lousy musicians to lay down a lame version), but something about hearing this one for the first time just made me say HELL YEAH. It was one of those moments that us record fanatics savor; I was going through a big stack of Australian records and this was one that within the first five seconds I knew was gonna rock my socks off. And it did. 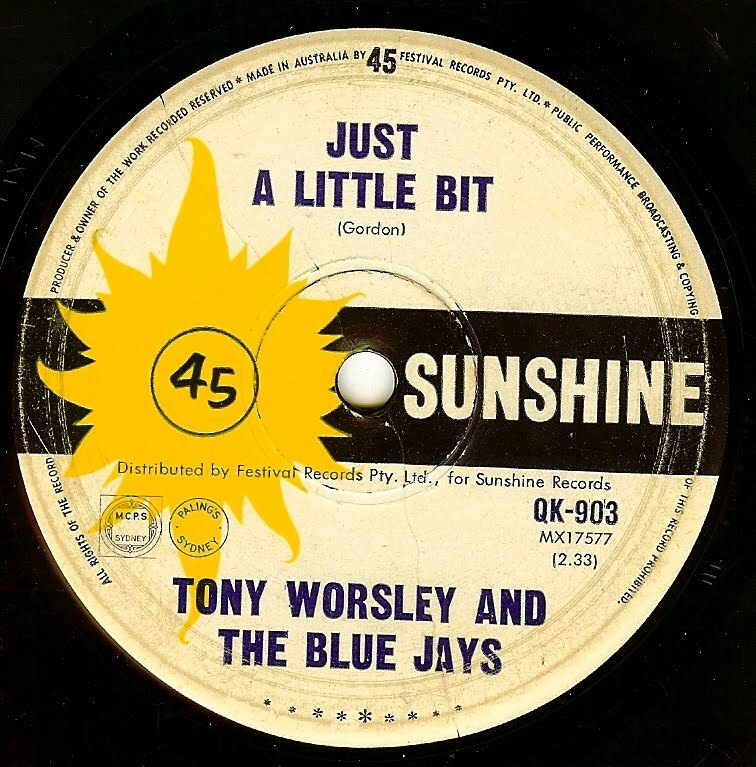 Turns out Tony Worsley was born in the UK but relocated to Brisbane, Australia where he hooked up with The Blue Jays well after they initially formed in 1959. From what I have read, Tony was surly, rebellious and gruff (which comes across on the record) and one of the first in OZ to grow Beatle length hair. Man oh man what a STORMING track! Another example of Van McCoy's writing and arranging work in the mid-60's that shows the man practically did no wrong and had a magic touch for capturing exciting soul sounds. Here we find the debut of Herb Fame, who after this release joined up with Francine Hurd Barker, which began the legacy of Peaches and Herb. Many "Peaches" followed throughout the years, but Herb is still out there in fine voicing touring the oldies circuit. Who IS this group??? 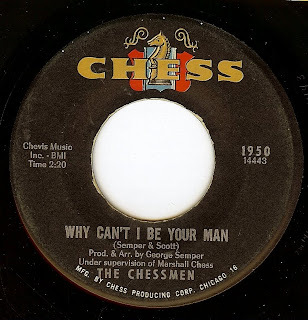 This was the only single released by Chess records by "The Chessmen", but this group is obviously experienced and were not the type of neophytes that would cut one record and disappear. This classy record (which bears a strong hook resemblence to "I Can't Help Myself") is simply incredible. Could it be the Dells in disguise??? My vote is that it has to be either a group under pseudonym or a super group of the Chess stable. Whoever they are, they cut a fantastic record! There were other groups in the 60's billing themselves as The Chessmen and also The Original Chessmen, but I would be willing to bet that none of them had anything to do with this group. I've been a fan of this eccentric English folkie-with-the-rock-n-roll-verve for many years, but only recently became aware of this single when it turned up in a box lot of records that I scored (I have since learned this was tacked on to the CD reissue of his 2nd LP, but as I don't buy CD's unless absolutely necessary, I missed out on that). 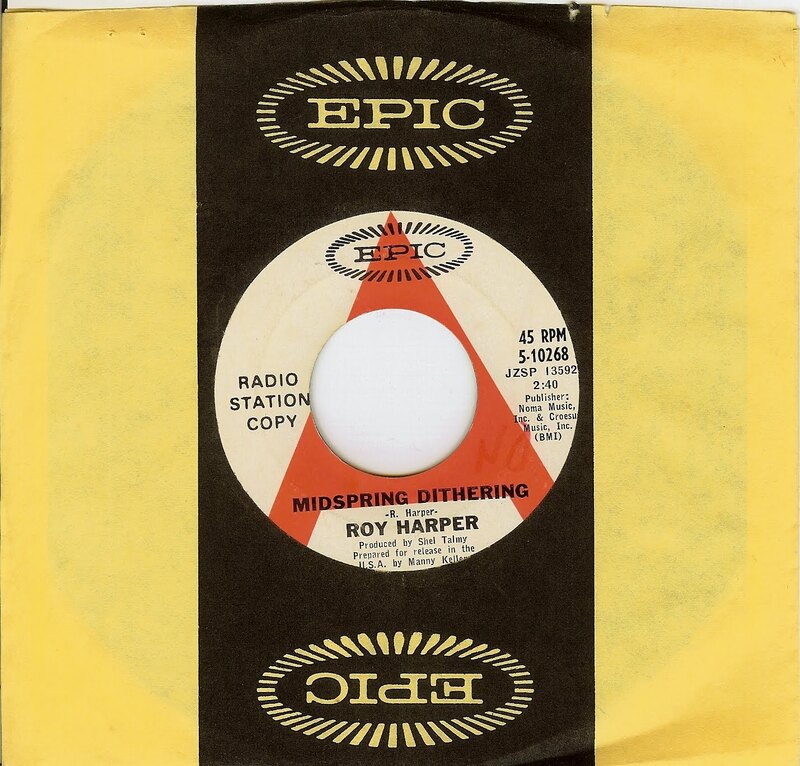 This was even more of a pleasant surprise when I slapped it on the turntable, as apparently it's Roy's attempt (probably under the influence of producer Shel Talmy) to create a commercial, beat oriented single. 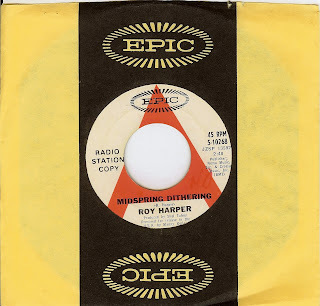 The results are spectacular, featuring Roy's always excellent vocals and acoustic guitar matched with some mildly swinging backing on top of an excellent song. Even stranger that this was even released in the USA, as this was his first and only US release until 1969 (neither of his first 2 LP's saw a US release). I think EVERYBODY is ready for some Spring; right? What a fantastic double sider! These two songs seem so closely linked that I almost view them as parts 1 and 2. This Texas native relocated to LA in the late '50's, and promptly began cutting records. His massive, gruff voice is a thing of wonder, and he truly earned his nickname "the preacher", as his vocal style is straight out of the church (with lyrics that are 100% secular). This was his followup record to the amazing "I Can't Please You"; a past 45 of the day and while it doesn't quite match the timeless drive of that song, it stands up very well! Songwriting credits show that his last name was actually "Robbins"; why the "b" was dropped from his stage name is unknown. 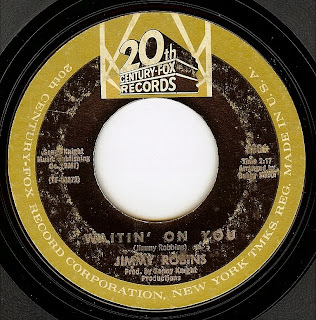 This was the final release from the original lineup of this fantastic Philadelphia girl group (one final single released the following year featured a different lead singer). 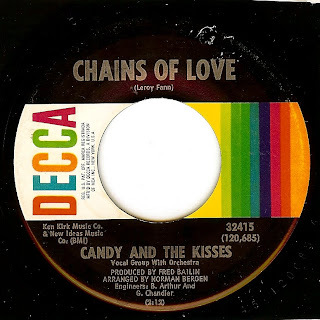 Candy & The Kisses kept up with the changing soul sound of the late sixties to a degree, but this song does have a more light hearted sound that harkened back to earlier times, but in my opinion that just helps it to hold up so well today. Today I am proud to present one of my favorite underused styles of music...the SOUL WALTZ! For those who don't know music theory, waltz time count is 1-2-3, 1-2-3 making for a unique syncopation unlike the more common 4/4 time (count 1-2-3-4, 1-2-3-4). This groove is one of the hardest hitting waltz time soul tracks I've ever heard and it's positively addicting. The great Patti Drew was last heard on this blog as a member of the Drew-Vels, which consisted of herself, two sisters and Carlton Black. 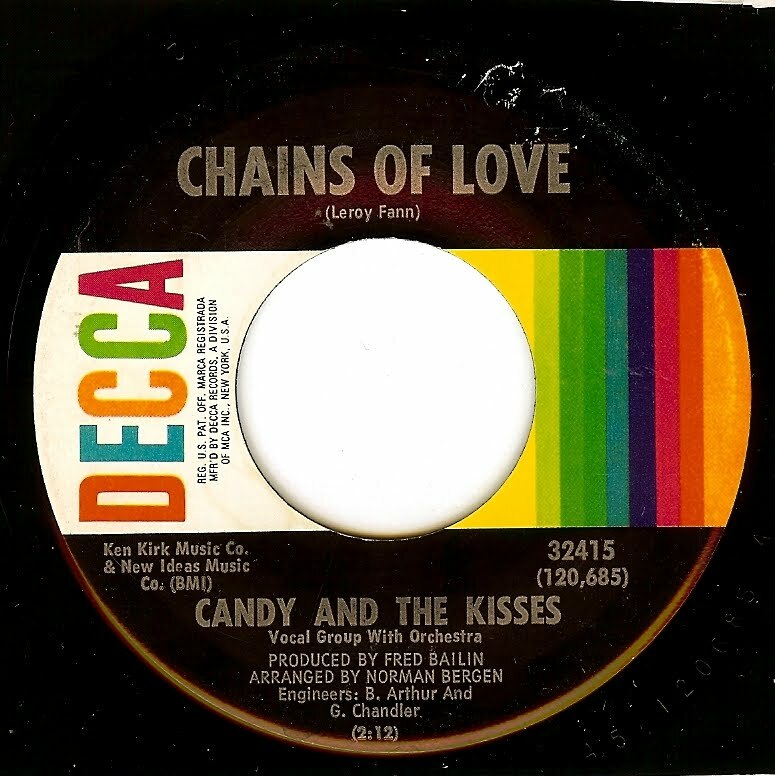 The Drew_vels, fantastic as they were, released only three singles, after which Patti struck out on her own and released some really great records, one of which was a well deserved hit ("Workin' On a Groovy Thing"). This was her first solo outing, originally released in 1965 on Quill records, then reissued in late 1966 by Capitol (which was also the home of the Drew-Vels). 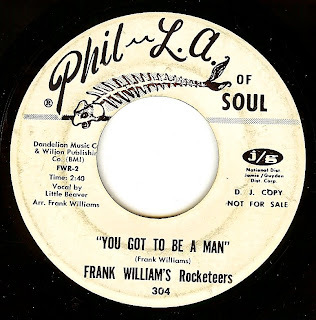 Released by Motown, an excellent song, fantastic performance...WHY wasn't it a hit????? For as great of a singer as Tommy Good was (and from reports that I have read, still IS), his discography is surprisingly small; only a half a dozen 45's released between 1958-1969! 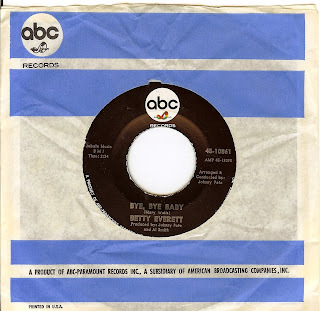 "Baby I Miss You" is such a fantastic song, and the catchiness definitely gives it a top choice spot as a Motown hit that never was. Quite simply, one of the greatest UK mod records which incorporates elements of soul, beat, and psychedelia into a most appealing potion that's just gonna make you move. This is one of those records that just oozes excitement and all of the parts click so well, and, the record just flat out COOKS. 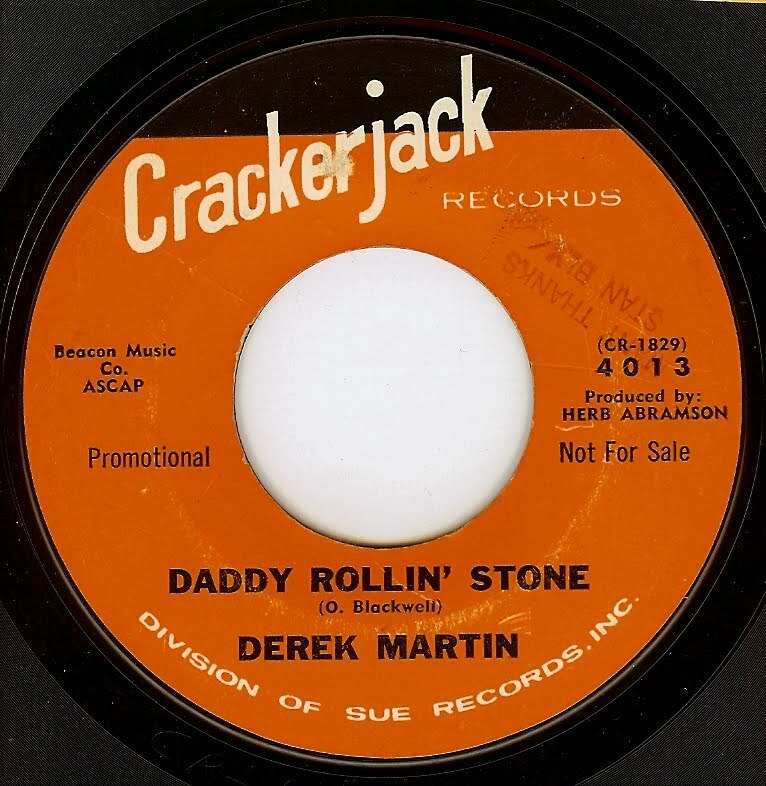 The Attack were pressured by producers to cut sides that didn't reflect their true strengths for the a-side, but the group was truly allowed to be themself on a scant handful of b-sides (including this group written song). Shortly after this record was cut in mid-67, guitarist Davey O'List split to join The Nice and bassist Gerry Henderson was off to join the massively successful Marmalade. Singer Richard Sherman assembled an all-new band, but it was all over for the Attack in early 1968.